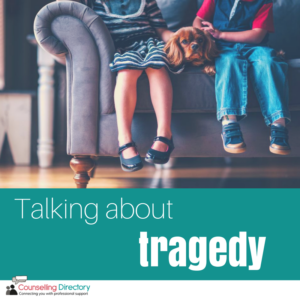 How can you talk to your children about tragedy? Following the Manchester attack on Monday evening (22nd May 2017) it is unsurprising that many of us are feeling emotional, angry and quite lost. No matter how old you are, tragedy will always come as a shock, but it’s important we talk about it. Waking up to devastating news reports will knock us all – but after the initial shock, many of us will turn to our children. How do you explain this to a young person? If you’ve woken up to breaking news, take a moment to reassure your child of their safety. If they are old enough to understand what has happened, explain it in a clear way. Make it a comfortable situation, if you’re going to tell them, tell them in a familiar setting where they feel safe. Be sure to answer any questions they have. Listen carefully to their concerns and answer their questions as best you can. If your child is under five, do what you feel is best. It’s not a bad thing to want to protect them, so limit exposure to the media. Young children don’t have the ability to understand death, or the seriousness of the situation, so you are able to be quite abstract in your explanation. However, if your child is more aware of the situation, (for example a friend tells them at school, or they hear it on the news) and they ask you questions, you need to be honest. Answer any questions they have and, depending on how old they are, give them enough credit to have an intelligent conversation. 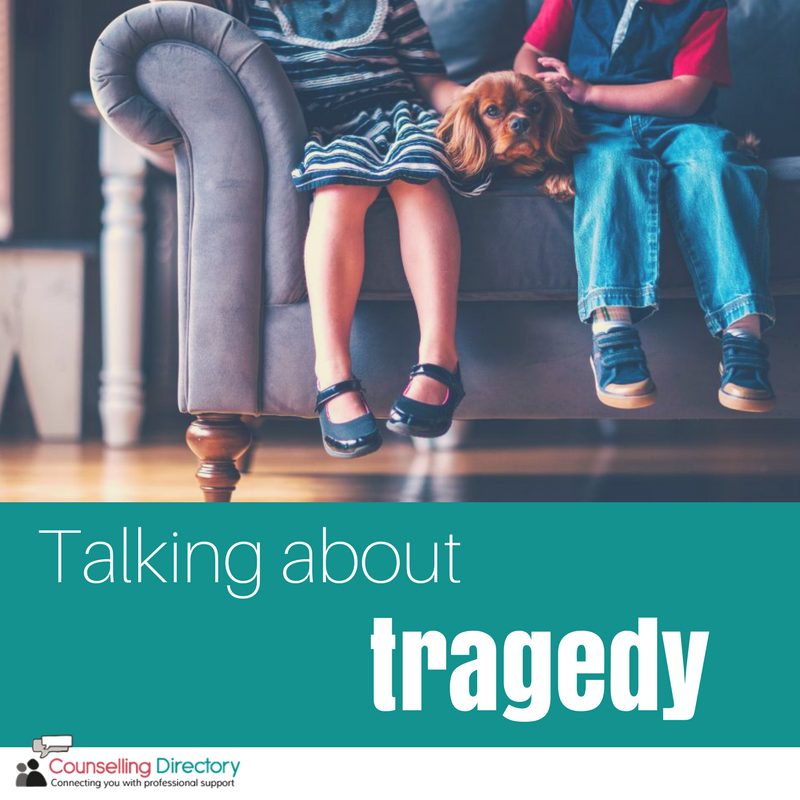 Reassure them that it is an isolated incident and that it’s important we continue our daily lives, but also explain that there are ways to help. While they might not be able to join the cause, they can raise awareness in their own way. It’s important to keep daily life as normal as possible. It’s not always easy, but staying strong and supporting one another is the way to get through it. Keeping your usual family routine instils comfort and habit, and will help your child feel calm. People process things differently and the way we react is completely individual, so be patient. Children in particular process things internally and this is a lot to take in. They may show sadness, anger or guilt, and you may even find they feel unwell, with tummy ache and headaches. This shouldn’t be anything to worry about, but if they’re seemingly overwhelmed and getting stressed about the situation, consider talking to your GP. Looking after yourself is important. 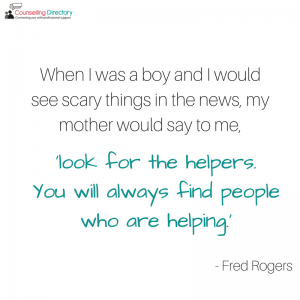 While we are incredibly strong, breaking news and tragedy can affect us in different ways and the way we, or our children, react can be surprising. While it’s important you continue your usual routine, take care of yourself. Sometimes we need a break, and that’s OK. Take a couple of days to rest, be together and reflect. It’s OK to need a helping hand, and these tragedies will affect us in many ways. If you’re worried about your child, or you would like to talk to someone yourself, consider speaking to a professional.